Well, it’s been a while since my last post. Things are moving forward now. The house sold a few weeks ago to first time buyers and the sale is progressing nicely, with a provisionally agreed completion of the end of October, or thereabouts. So our dream is looking a lot closer! We are still decluttering, and have loaded up the car for a car-boot sale tomorrow. We have been putting this off, not really sure we wanted to go down this route, as it usually produces very little reward for the amount of effort put in, but the house sale has propelled us into action. What does not sell will be disposed of in other ways, but we really need to get rid of all this excess stuff. The buyers want most of the furniture, so that has saved us a lot of hassle, and we have a couple of people interested in some of the remaining items. We have had a couple of removal quotes, and we are still debating whether or not to take the car, but we think it will be a ‘no’. 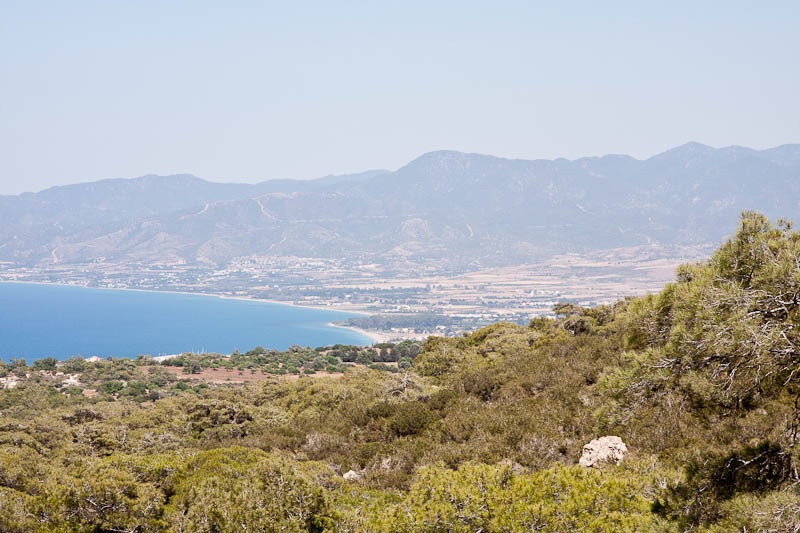 We have looked into the value of the car, added what it will cost to get it to Cyprus and register it there, and decided that we would be better with the money in our pockets and then look for a decent runaround once we get there and settle in. There is so much to think about; more so than if you are just moving to another house in the same country. What should we take with us? What should we have shipped? I am sure we will be travelling over with two or three suitcases, just to make sure we have the correct clothing for the changing seasons. How cold is it going to get? We have contacted someone with apartments for rent, both for the initial period following arrival, and for longer term once we have had a look around and decided where we want to live. It seems there is plenty to choose from, so we won’t have any trouble getting somewhere. Here are some images from the trip in July 2012, which we thought would be the final trip before moving, until we arrived home and within two weeks I was offered a job! On this trip we stayed in a rather nice apartment in Peyia. The only downside was the hill to climb from the centre of town – great going down, not so good coming back up. Before too long we decided to drive down when we wanted to go to one of the tavernas, or to the shops. Hopefully my next update will have some good news on the house sale and a more definite idea of when the move will take place. Posted in CyprusTagged cyprus, emigrating, movingBookmark the permalink. Can’t be easy having to decide on everything all at once! !